A long-term financial supporter of Than Hsiang Fund education projects. 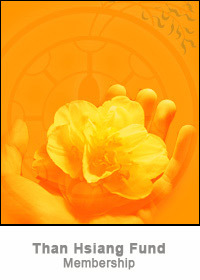 Each member is under one core member and donates monthly to Than Hsiang Fund. Responsible for collecting donations, promoting and spreading the welfare and educational activities of Than Hsiang Fund. He/She collects the monthly donation from a group of members under his charge. In turn, he/she informs the members of Than Hsiang Fund's activities and delivers the newsletter to them. The Core members participate in the welfare, education and cultivation activities to enrich and improve themselves. 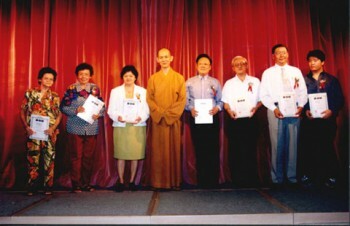 New volunteers from the education and welfare circles are invited to be part of Than Hsiang Fund, share the experiences and be part of the spiritual circle. 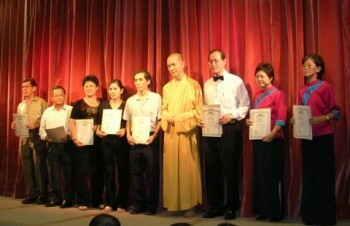 Those who donate RM50,000.00 or more become patrons of Than Hsiang Fund.